Focalpoint Digital Limited is a digital photographic studio based in Norwich, East Anglia. Established in 1976 we have been providing our clients with a professional and complete photographic, design, marketing & advertising solutions for 40 years. If you are in need of a commercial studio photographer or location photography in East Anglia we are conveniently situated North of the centre of Norwich City, near Norwich International Airport. 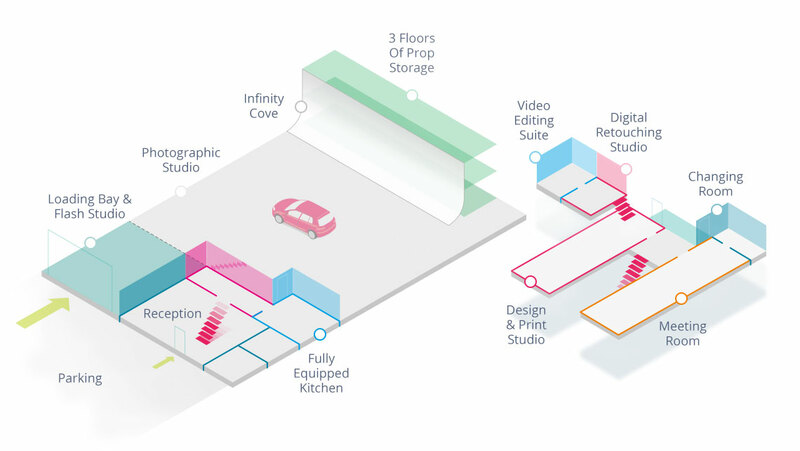 Whether it's our fully equipped modern drive-in photographic studio with built-in infinity cove and adjustable floating ceiling or out on location we are able to provide you with the complete business and marketing service.